The European Commission said Thursday it is taking Germany, Britain, France and three other countries to the bloc's highest court for failing to comply with EU air quality standards. The decision by the commission, the 28-nation European Union's executive arm, hits Britain before it is due to leave the bloc in 2019 following the shock Brexit referendum two years ago. The commission had given the six countries—which also includes Italy, Hungary and Romania—a last chance in January to take long-sought steps to improve air quality or be hauled before the European Court of Justice. 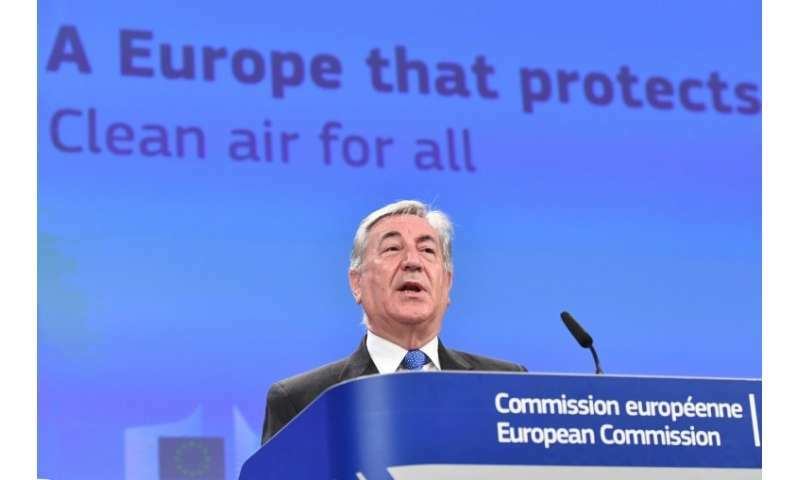 However, EU Environment Commissioner Karmenu Vella told a press conference in Brussels that the countries, part of what activists have dubbed a "toxic bloc", had failed to act quickly enough. "The commission had to conclude that... the additional measures proposed are not sufficient to comply with air quality standards as soon as possible," Vella said. "Consequently, the commission has decided to refer these (six) member states to the Court of Justice of the EU," the executive arm said. The Luxembourg-based court can impose heavy fines. Vella, who has called the pollution problem urgent and "life threatening," said Brussels feared it may end up waiting several more years before the countries put the right measures in place. "We cannot wait any longer," he added. The commission has been urging the wayward countries to establish incentives for the transport, energy and agricultural sector as well as improve urban planning and building design to improve on pollution. Vella had also given Spain, the Czech Republic and Slovakia a last chance in January to start complying with EU standards, which he said they were now doing. But he warned the commission was keeping the three countries under review. 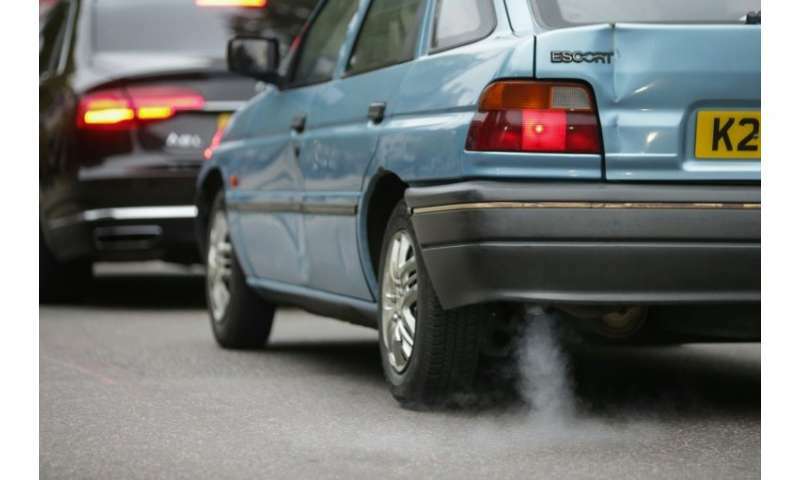 In January, the nine countries were found to regularly exceed emissions limits set to protect Europeans against particulate matter and nitrogen dioxide (NO2), both pollutants. Germany, Britain and France were targeted for failing to meet limits on NO2 while Italy, Hungary and Romania exceeded limits on particulate matter. The EU estimates that air pollution costs the bloc 20 billion euros ($24.7 billion) a year in health costs, but says this could be reduced if member states comply with agreed emissions limits. Throughout the EU, fine particulates—small particles of pollution—were responsible for three out of four premature pollution deaths (399,000 out of 487,600) in 2014, according to EU figures. The European Environmental Bureau, an umbrella grouping of activists who dubbed the nine countries summoned in January a "toxic bloc," welcomed the commission's action. "Today's announcement should surprise no one, the countries being sent to court have had too many final warnings," the EEB's Margherita Tolotto said. "European air quality laws are being broken on a continental scale," Tolotto said. But she added that the process behind legal action should be "far more transparent" to allow citizens to know why some countries are taken to court and others not. The problem is also broader across the bloc than just the nine countries. Twenty-three of the 28 EU member countries exceed air quality norms, the European Commission said. The problem affects more than 130 cities in Europe. Bulgaria and Poland, which have also failed to take action, have already been taken before the top court. In a separate action, the commission proposed the first-ever CO2 emissions standards for new trucks travelling within the EU. Compared with anticipated 2019 levels, the emissions will have to be 15 percent lower in 2025 and at least 30 percent in 2030.